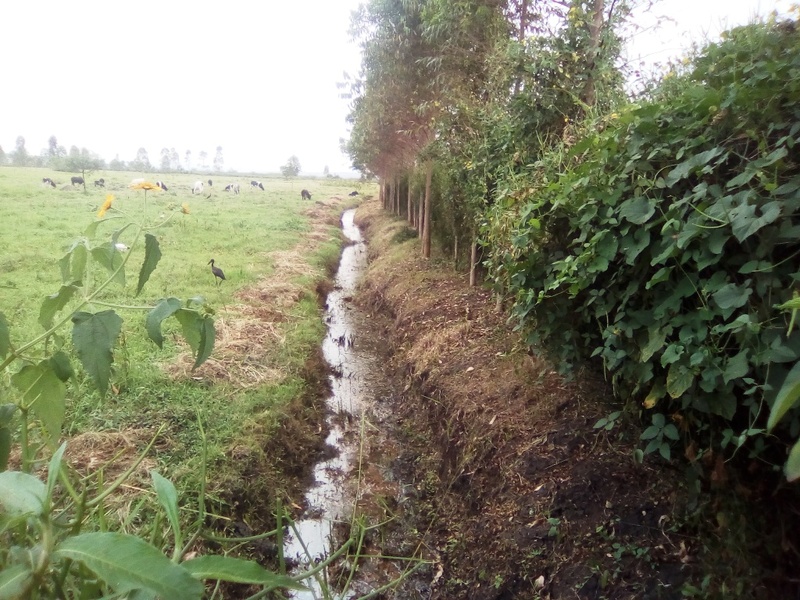 Kabale – The Ministry of Water and Environment with aid from the Sahara Sahel Observatory have started implementing a $7.7m project aimed at restoring at least 1370 square kilometers of depleted wetlands in the districts of Rubanda, Kabale, Rukiga and Ntungamo in Kigezi sub region. The 5-year project seeks to restore Maziba, Awoja and River Aswa water catchment areas that have been depleted by environmental degradation. Ms Annette Kezia Nantongo, a senior water officer with the Ministry of Water and Environment, said the project aims at increasing the resilience of communities to the risk of floods and landslides in Awoja, Maziba and Aswa catchments through promoting catchment based integrated, equitable and sustainable management of water and related resources. “All these areas that we are targeting are prone to floods, they have depleted wetlands enough and the effects most have been visible. They are at a high risk of losing all the water resources in the area as well as facing a long time desertification impact if the water catchments are invaded like they are now,” Ms Nantongo said. The project shall aim at increasing resilience of eco systems by supporting sustainable management of forests, wetlands and riverbanks, supporting communities to develop and implement sustainable water harvesting, soil bio-physical and flood control structures, supporting income generating activities with credit and market access, Build the capacity of extension services and institutions at local, catchment, water management zone and national level to better support local stakeholders among others. Awoja Catchment covers an area of 11,000 square kilometers, Aswa catchment 27,631 square kilometres while Maziba Catchment is 1370 square kilometers. The project officials met the districts’ political and civil heads, media and civil society organization at Cepha’s hotel in Kabale district on Thursday and Friday to agree on the modalities of implementing the projects in the region. The district leaders, however, expressed concern over the project being up bottom in approach which may limit the impact. Kabale district chairperson Patrick Besigye Kaihwa said while the ministries come up with well written projects, they end up not being implemented because they lack local content. He said the environment affects the locals and since they have already suffered the effects of it’s degradation, then they will most likely participate in all processes. “We want a project that shall have impact, many projects the ministries bring to us are designed and executed from the centre lacking local content a reason at times they fail. We now need to get fully involved and help our people because they are the ones who are affected by climate change in the end,” Mr Kaihwa said. The Ntungamo district chairperson, Mr Denis Singahache, who is also the chairperson of the Maziba catchment area, asked the leaders in the district to embrace any project that comes to fight climate change because it is negatively affecting lives in the area. According to the ministry statistics over 70% of the wetlands in Kigezi region and other over 60% in the other areas of focus in the north and Eastern part of the country have been depleted and need restoration. The project shall be implemented through consultancies that will talk to key players especially those affected by wetland and catchment and river banks degradation.